Features: Renault “Résurrection” for the R5 ? The Renault 5 was a common sight in Ireland, when cash-strapped motorists were looking, perhaps, for a certain quantity of French flair to accompany their choice in economy car. At the time, it might have been just another little car, but it was a little car that came in at the tail end of a more individual car design regime, since when computer-assisted design has meant that many cars look more similar to one another. The latest edition of leading French car magazine Auto-Journal magazine has revealed, however, that Renault has reportedly decided to herald a come-back for the R5 in the form of a prototype based on the original. It is to be revealed at the next World Motor Show (Mondiale de l’Automobile) this coming autumn, which is taking place at Issy-les-Moulineaux just outside Paris from September 29th to the 14th of October. The new R5 will be a 3-door version which, Renault hopes, will occupy the upper market segment for city-dwellers. In this, they hope to emulate the success of the Citroën DS3 – a chic automobile seen rolling along some of the chintzier streets of the French capital. There is also talk of a re-launch for the Clio – a slightly longer car in the same class. The design of the Renault 5, meanwhile, although a different animal to the one we know and love, will incorporate the basic design elements of the original, starting with the chassis. Its design will apparently bring together elements of the past, as well as more recent concepts based on a “lozenge” shape under the flair-filled guidance of Dutch designer Laurens Van Den Acker. 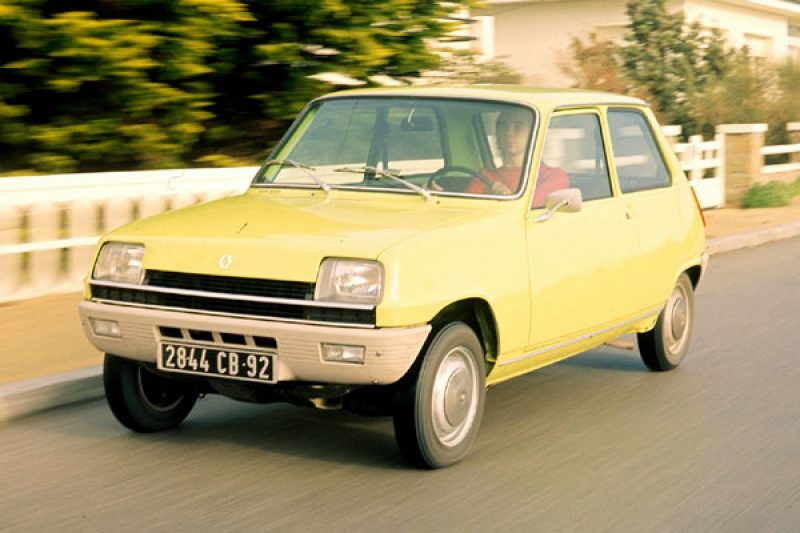 Falling somewhere between a neo-retro look and avant-garde design, the new Renault 5 is not likely to be true adaptation of the original, according to the magazine (as was the case with the Fiat 500, the Mini or the Beetle). In any case, it’s a resurrection that many of the more mature readers will await with baited breath when it becomes a reality on the road some time towards the end of 2013. Previous Previous post: Food & Wine: New Summer “Terrasses” in Paris – 6 of the Best! Next Next post: Features: Café, Monsieur?